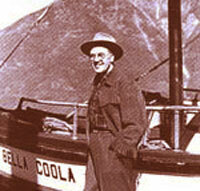 The main historian of the Bella Coola area was storekeeper Cliff Kopas who wrote its first local history, Bella Coola: A Story of Effort and Achievement, in 1970. In 1933, following the grease trail that had led Alexander Mackenzie to the West Coast, 22-year-old Cliff Kopas and his bride Ruth reached Bella Coola on packhorses from Calgary. After Ruth died in 1935, he married Mae Kopas and they opened their famous general store in 1937. 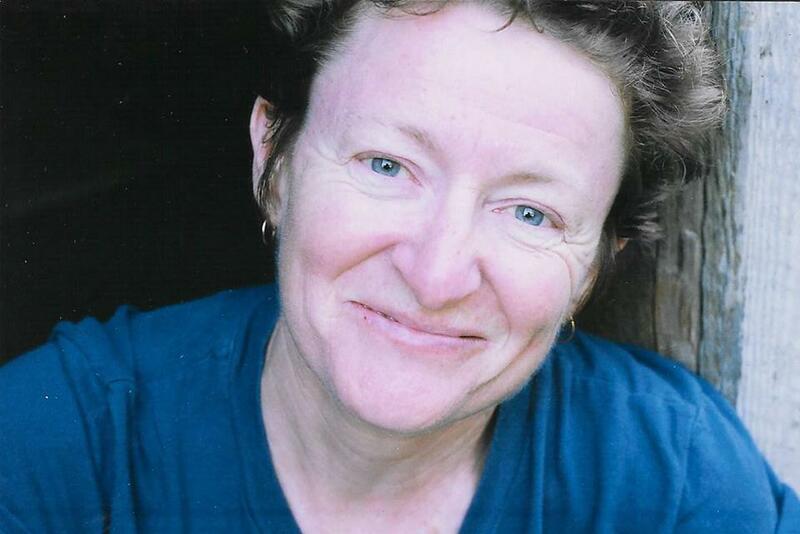 Kopas recalled his four-month journey to the coast by horse in Packhorses to the Pacific (1976). 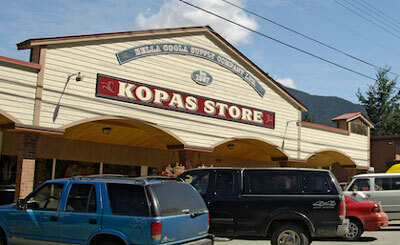 At first, the Kopas’ store specialized in photography and photographic supplies. The store has remained operational throughout the 20th century and beyond. It sells pretty much everything, including books. 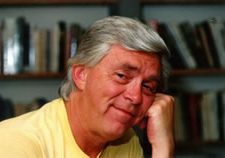 Little heralded by folks in the Lower Mainland for his excellent social history of Bella Coola and his first packhorse memoir, Kopas nonetheless produced a second autobiographical book, No Path But My Own. It was completed by his son Leslie in 1996 after Cliff Kopas died in 1978. Cliff Kopas was born in Nanton, Alberta in 1911. 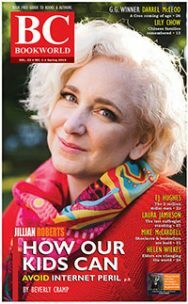 “His community is still recognizable and the themes of adventure and exploration are still there,” his son Paul Kopas wrote in the most recent re-issue of his first Bella Coola, re-titled as Bella Coola… A Romantic History. 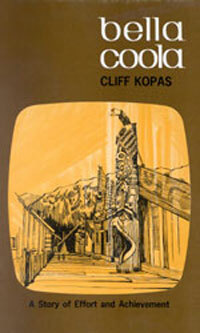 Leslie Kopas has also published a book about Bella Coola that incorporates some of his father’s many photographs. 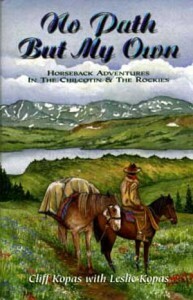 Bella Coola Country (Vancouver: Illahee Publishing, 2003). By Leslie Kopas, with photographs by Cliff Kopas.